The Starfish Brothers, Eel, Crab and Octopus are having a horrid time. The Starfish Brothers’ backs are stiff as planks, Eel is in a wheelchair and feels excluded, Crab finds it hard to play with others, and highly-competitive Octopus is on crutches after a pole-vaulting accident. 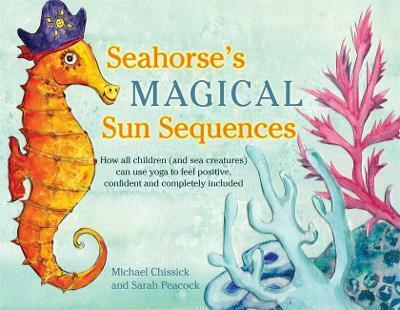 Luckily, Seahorse adapts her Magical Yoga Sun Sequence to suit their individual needs, helping them to be active, included, and much happier! This beautiful picture book teaches four Yoga Sun Sequences in a fun and interactive way. The simple sequences benefit all children, while ensuring that anyone with inflexibility, autism, disability or injury can join in the fun. With specific advice for individual needs, this is an excellent resource for educators, yoga instructors and parents hoping to promote inclusion, positivity and confidence in all children aged 3-11.